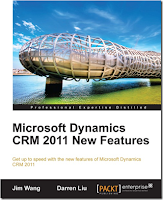 Of course several books have been published about CRM 2011 already, but this book is kinda special. I was one of the technical reviewers of the book (yes, shameless echo boost). As reviewer you just get the chapters review them and send them back. 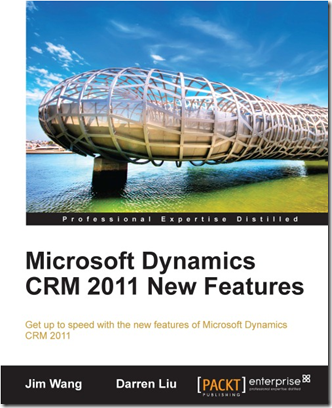 The book Microsoft Dynamics CRM 2011 New Features book dropped on my doormat few days ago. It was kinda cool to see that the authors were Jim Wang & Darren Liu. Of course I can tell you that you should buy and read it, but decide for yourself. Its good book and also for more experienced CRM users nice to have and it might give you some new insights. More info about the book here .